Edge has some big fans, very few users — and it’s about to get a heart transplant. Chrome’s the crowd pleaser, but one hare-brained idea (recently rescinded) has to give you pause. Firefox keeps on foxing, but in terms of usage numbers, it can’t get a break. Out this morning in AskWoody Plus Newsletter 16.6.0. Now available – yes, for free — on AskWoody. Mozilla has halted the automatic updates to Firefox 65 as users are unable to browse web sites due to certificate errors. These errors are being caused by conflicts between various antivirus program’s HTTPS scanning and Firefox 65. Here in the browsers forum we have confirmation from Charlie and others. 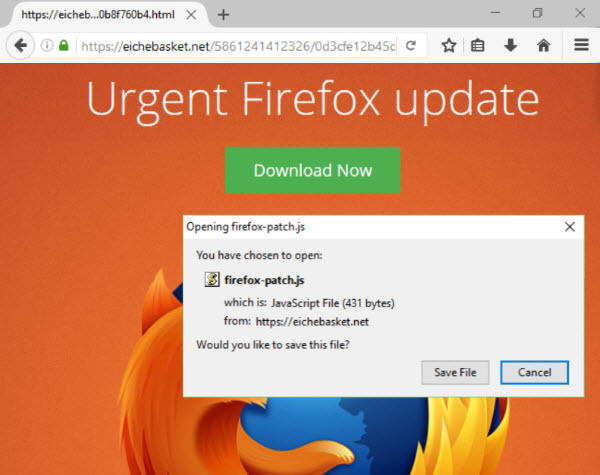 If you have upgraded to Firefox 65 and are seeing errors when browsing the web that state the “Connection is not secure”, then you are most likely affected by this bug and seeing a conflict between the browser and your antivirus software. And offers two workarounds. Various antivirus manufacturers are also distributing a bypass. For the first time since June, Microsoft’s two browsers managed to hold onto their share of the browser market; the same could not be said of Firefox. Edge usage share was flat last month, but IE bumped up a little bit. Astounding. It’s a dog-eat-dog world. Surprisingly, Firefox is doing very well financially. But Chrome continues to swallow the earth. For those running Windows 10, Edge accounts for 10 to 11% of all browser usage, and IE hovers below 10%. With Firefox’s new-found moxie, we have a real horse race going here. May the best browser win. Subscribers to those topics should have received emails with details of the new posts. However, we have had some reports that some people are currently not receiving those emails. If your subscription emails aren’t working, please let us know. Also updated recently is AKB3000005: On the subject of Botnets, which was posted last month, but promptly disappeared in a backup-reset of the site. Is Firefox going into a tailspin? While this was covered back in June: Mozilla execs clash over whether Firefox has a future, I think you might want to reframe it for your followers as it didn’t seem to garner much attention at the time. First, Firefox is going to start collecting more data. Second, come some time in November 2017, most of Firefox’s extensions will no longer be supported by Firefox. In fact, I’ve lost some already. A way of extending availability of extensions is to convert, even now (I have), to Firefox ESR (I got the extensions I “lost” back), but that too will lose extensions some time in 2018. I think many of your readers should take another, or a closer, look at this topic. It seems to me that ghacks.net will be the go-to web site to see how this unfolds and which alternatives to Firefox seem to be most effective. By going ESR now, one is stable after November 2017, and can monitor how things shake-down with the alternatives before one has to pull the trigger, when ESR is upgraded to the point where the majority of Firefox’s extensions will no longer function.